What We Like About Nano Titanium Portofino & BaBylissPRO Nano Titanium? Both are enhanced with a Nano titanium technology which distributes heat evenly for uniform results. Both have strong and powerful motors which blow up lots of dry air for quick results. You can choose between heat / speed settings for better results. Both weight between 2 – 2.5 pounds – which makes them lighter and easy to hold for longer hours. REASONS WHY WE RECOMMEND IT:– (1)It is fast and effective, (2) Light weight, (3) Strong Powerful Italian AC motor with ionic and nano titanium technology – guarantees you with faster results, (4) Good build quality, (5) Fairly quiet, (6) Does not make hair frizzy. BaBylissPRO Nano Titanium Portofino Full-Size Dryer – Check price *****Powerful 2000 watts for faster drying, Ions reduce frizz & static Leaves hair shiny, smooth & silky, 6 heat / speed settings, Removable filter for easy cleaning, Lightweight, ergonomic handling, Cool shot button, Concentrator Nozzle. BaBylissPRO Nano Titanium Bambino Compact Dryer – Check price on Amazon – Small & lightweight, 2 speed and heat settings, 1000 watts, 0.6 lbs, Low noise, Beautiful black finish, Good grip, Removable filter. Dual voltage. 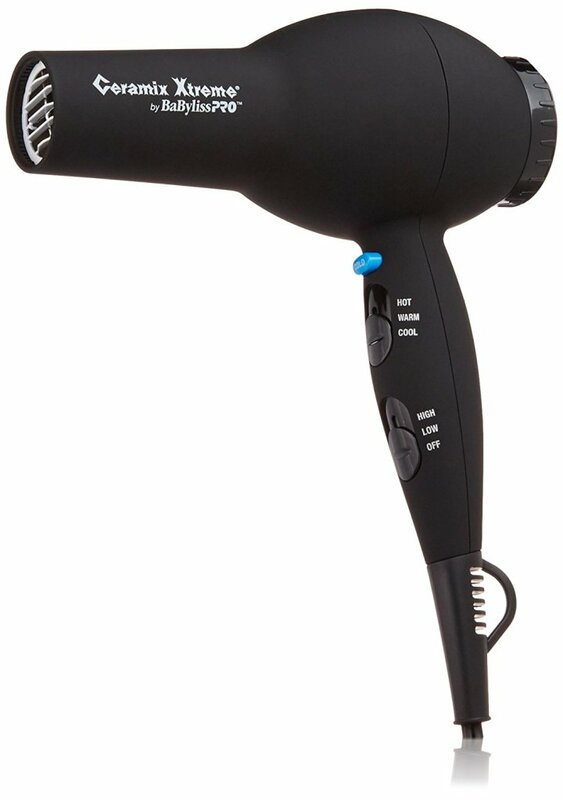 BaBylissPRO Ceramix Xtreme Dryer – Check price on Amazon – 2000-watt dryer, Ceramic technology to produce extra gentle far-infrared heat that protects hair from damage, 6 speed/heat setting, Removable filter for easy cleaning, Micro concentrator nozzle, Narrow barrel for maximum air pressure. BaBylissPRO Tourmaline Titanium 3000 Dryer – Check price on Amazon – Perfect for professionals, 1900-watt dryer, Far-infrared heat for faster drying 9-foot-long cord, Rubberized Non-slip Handle offers you with a comfortable grip, Cold shot button,Six heat/speed settings, Tourmaline titanium technology releases millions of ions for incredible shine. BaBylissPRO Porcelain Ceramic Carrera2 Dryer – Check price on Amazon – Professional Commercial Grade Hair dryer,1900-watt dryer, Soft-touch, Rubberized housing, Natural ions eliminate static, Leaves frizzy hair shiny and smooth, Far infrared heat produced by Ceramic protects hair’s luster. BaBylissPRO Tourmaline Titanium Travel Dryer – Check price on Amazon – Easy to travel with – 1000-watt dryer, Dual Voltage, Folding Handle making it travle freindly, Dries hair faster, Infused with pure gemstone tourmaline crystals, lightweight. BaBylissPRO Nano Titanium Bambino Compact Dryer – Check price on Amazon – Ultra lightweight, 2 speed and heat settings, 1000 watt hair dryer, Nano titanium bambino dryer, Removable filter, Dual voltage. WHAT TO LOOK FOR WHEN BUYING BABYBLISS HAIR DRYERS? Variable settings: you should always consider getting a Babyliss Hairdryer with separate controls of airflow and heat-levels in order to achieve customized and effective blow-drying results. In fact several separate settings will help you to easily control the speed and heat-levels of the hairdryer when drying-up your hair. An ergonomic and comfortable handle: buy a Babyliss Hairdryer that is equipped with an ergonomic handle because it will enable you to hold the dryer for longer hours without experiencing any hand-fatigue. A lightweight design: get a Babyliss Hairdryer that is lightweight in order to reduce on hand fatigue especially if you’re going to blow-dry your hair for longer hours. However, it’s usually recommended to get a slightly heavier hairdryer because it offers a more comfortable grip and optimum-balance when blow-drying your hair. A cool-shot button: purchase a Babyliss Hairdryer that is equipped with a cool-shot button in order to achieve great hair shine and longer-hold while blow-drying hair. In fact, the cool-shot feature s very essential for people with very sensitive hair that can easily get damaged by heat-drying. A strong motor: you should get a Babyliss Hairdryer that is equipped with stronger motor of about 1800-watts to 2000-watts in order to achieve quick and effective blow-drying results. In fact a hairdryer with a powerful motor-drive will produce a strong airflow thus drying-up your hair quickly without over-exposing it to heat which can be damaging to hair. all in all, the best Babyliss Hairdryer to get is one equipped with a 1875-watt motor because it provides the best hair-drying results whether at home or salon. A long and retractable cord: you should buy a Babyliss Hairdryer that is equipped with a longer power-cord that is about 8-inches or 9-inches in order to easily use the hairdryer while blow-drying your hair. On top of that, the long-cord should be retractable and lightweight in order to facilitate for easy storage of the hairdryer when travelling or after usage. Ergonomically positioned controls (buttons): buy a hairdryer with ergonomically-designed controls/buttons so that your fingers can easy access these controls while blow-drying your hair. This will actually help to eliminate any accidental hits on other controls/buttons when using the hairdryer. A removable air-filter: always buy a Babyliss Hairdryer with a removable filter at the back-section in order to facilitate for easy cleanup of inner-components of the dryer, this will actually help to prevent grime from building-up within the hairdryer hence keeping the hairdryer operating effectively and efficiently at all times. Hairdryer attachments: before you choose a Babyliss Hairdryer, make sure that it’s provided with other hairstyling attachments like a diffuser or concentrator-nozzle in order to achieve the best styling results as you blow-dry your hair. Noise-levels: buy a Babyliss Hairdryer with a decibel noise-level that you can tolerate especially if you like blow-drying hair in the morning-hours when other people in the house are still sleeping. All in all, quiet hairdryers feature noise-levels less than 85-decibels so make sure that the hairdryer you’re about to purchase is below that noise-level. WHY YOU SHOULD CHOOSE BABYLISS OVER OTHER BRANDS? There are actually several reasons as to why you should choose Babyliss Hair-Dryers over other hairdryer brands on the market. in fact, Babyliss Hair Dryers have been in the market for some good time and have managed to maintain their good reputation and below are some of the reasons to prove that Babyliss Hair Dryers are some of the best hairstyling tools on the market today. An enhanced design: Babyliss Hair Dryers actually features an ergonomic-design and this actually makes them very comfortable to hold in the hands when blow-drying hair. On top of that, the hairdryers even feature an attractive and superior body-design that is very eye-catching compared to most professional hair-dryers on the market. Latest technologies: the Babyliss Hair Dryers are actually equipped with some of the latest technologies on the market today and this actually ensures that you get the best hair-styling and blow-drying results. In fact, you will be able to notice easy-usage and high-performance while using Babyliss Hair Dryers due to these advanced technologies. They are affordable: Babyliss Hair Dryers are actually amongst the most affordable hairdryers you can find on the market today. However, although these hairdryers are affordable, they also perform optimally, efficiently and are very durable. The BaBylissPRO Nano Titanium Portofino Full-Size Dryer is equipped with a high-performance 2000-watt Italian motor which was designed to provide optimum performance for extended period of time while the integrated nano-titanium technology helps to distribute heat evenly hence facilitating for optimum blow-drying results. Additionally, this hairdryer features ionic-technology that generates negative-ions in order to help remove any static electricity within your hair and to close-up the hair-cuticles for smooth and shiny results. On the other hand, this hairdryer is equipped with 6 heat/speed settings to choose from depending on your hair-type while the removable stainless-steel rear-filter facilitates for quick and easy clean-up in order to keep the hairdryer operating efficiently and effectively. Lastly, the BaBylissPRO Nano Titanium Portofino Full-Size Dryer is includes 3 concentrators-nozzles and a diffuser which are of great use when it comes to styling-up your hair. It distributes heat evenly over hair: the BaBylissPRO Nano Titanium Portofino Full-Size Dryer is integrated with nano-titanium technology that helps to distribute heat evenly when blow-drying your hair thus leading to optimum hair-drying results. It eliminates static-electricity within hair: the BaBylissPRO Nano Titanium Portofino Full-Size Dryer also features ionic-technology that generates negative-ions which help to eliminate any static electricity within hair during the hair-drying process thus keeping it healthy and looking great at all times. It makes hair smooth and shiny: this hairdryer actually uses ionic-technology to close the hair-cuticles hence making your hair smooth and shiny after the blow-drying process. A strong ac motor: the BaBylissPRO Nano Titanium Portofino Full-Size Dryer features a powerful 2000-watt Italian ac-motor that is capable of running constantly for longer-hours and at full-power when blow-drying your hair. In fact, this strong-motor makes the BaBylissPRO Nano Titanium Portofino Full-Size Dryer perfect for use in saloons or at home. A removable air-filter: the BaBylissPRO Nano Titanium Portofino Full-Size Dryer features a removable stainless-steel rear-filter that facilitates for quick and easy clean-up of the air-vents if they get clogged with dust or dirt. Multiple heat/speed settings: the BaBylissPRO Nano Titanium Portofino Full-Size Dryer features 6 heat/speed settings to choose from in order to achieve customized hair-drying results. This actually makes the hairdryer perfect for use on all hair-types whether short or long as long as the right setting is selected. It’s provided with bonus attachments: the BaBylissPRO Nano Titanium Portofino Full-Size Dryer is actually provided with 3 concentrator nozzles and a diffuser-attachment which are meant to help you style hair in different ways as you blow-dry it. An ergonomic handle: the BaBylissPRO Nano Titanium Portofino Full-Size Dryer features an ergonomic handle that can be held comfortably for longer hours when blow-drying hair. in fact, the ergonomic-shape of this hairdryer will help to eliminate hand-fatigue when drying-up your hair even for longer periods of time. It feels a bit heavy: since the BaBylissPRO Nano Titanium Portofino is a Full-Size hairdryer, it actually feels a bit heavier when compared with other standard-sized hairdryers on the market. However, its weight will provide you with optimum balance and a firm hold when blowing-drying your hair. A Removable filter for easy clean-up. The BaBylissPRO Nano Titanium Dryer is a combination of speed, power and a great design in order to provide the user with high-performance results when blow-drying hair. in fact, this hairdryer features a heavy-duty 2000-watt motor that is very powerful and capable of operating for extended periods of time while its lightweight-design coupled with an ergonomic handle offers the user with a more comfortable grip without experiencing any hand-fatigue thus making this hairdryer a perfect choice for people who tend to dry-up hair for longer periods of time. on the other hand, this hairdryer features over 6 heat/speed settings to choose from depending on your hair-type while a cool-shot button enables the hairdryer to give-off only cold-air hence making it a perfect feature for people with hair that is very sensitive to heat. Additionally, this hairdryer includes a concentrator-nozzle that provides the user with a wide-range of styling options while the removable filter makes it very easy to cleanup the air-vents of the hairdryer in order to keep it operating optimally. Likewise, this hairdryer uses nano-titanium technology which is actually a great heat-conductor and even maintains in ultra-high temperatures thus allowing for faster hair-styling results. Lastly, nano-titanium technology also helps to distribute heat evenly within hair hence leaving it looking silky, smooth and shiny. It offers a wide-range of styling options: the BaBylissPRO Nano Titanium Dryer is provided with a concentrator-nozzle attachment that provides the user with a wide-range of styling-options when blow-drying hair. A removable filter: this hairdryer is also designed with a removable filter that facilitates easy and quick clean-up of the air-vents in order to keep the hairdryer operating efficiently and effectively at all times. Quick hair-drying time: the BaBylissPRO Nano Titanium Dryer uses nano-titanium technology to maintain stability in ultra-high temperatures thus allowing for fast hair drying and styling. It makes hair smooth and shiny: this hairdryer also uses nano-titanium technology o distribute heat evenly within hair hence leaving it looking silky, shiny, smooth and healthy. In fact, nano-titanium is an exceptional heat conductor that ensures even heat-distribution and stability while blow-drying hair. A strong 2000-watt motor: the BaBylissPRO Nano Titanium Dryer features a powerful 2000-watt ac motor that was designed to keep running for extended periods of time when blow-drying your hair. 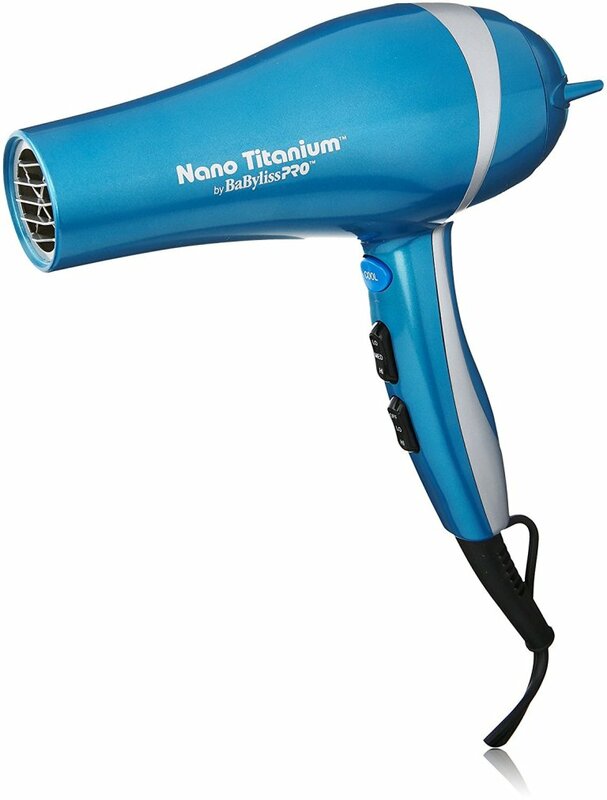 In fact, this strong-motor makes the BaBylissPRO Nano Titanium Dryer a perfect styling-tool for use in saloons and home. An e4rgonomic handle; the BaBylissPRO Nano Titanium Dryer is equipped with an ergonomically designed handle that feels very comfortable in the hands and even helps to eliminate any hand-fatigue especially when using the hairdryer for extended periods of time. It can be used on different types of hair: the BaBylissPRO Nano Titanium Dryer can actually be used to dry and style-up different hair-types because its equipped with over 6 heat/speed settings to choose from whereby each settings works on a particular hair-type. A cool-shot button: the BaBylissPRO Nano Titanium Dryer features an independent cool-shot button that can be easily pressed to blow-up your hair with only cold-air thus keeping it away from any heat-effects. In fact, blow-drying with only cold-air will help to make your hair shiny, smooth and healthy compared to using hot-air. A long cord with a hanging-loop: the BaBylissPRO Nano Titanium Dryer is also equipped with long cord that facilitates for convenient usage while the hanging-loop facilitates for easy storage when the hairdryer isn’t under usage. It reduces on hair-frizz: this hairdryer actually uses ionic-technology to give-off negative-ions that help to eliminate frizz within hair while making it shinny, smooth and looking healthy. A lightweight design: the BaBylissPRO Nano Titanium Dryer features a lightweight design whereby it feels very comfortable to hold for extended hours without experiencing any hand-fatigue. Attachment falls-off easily: the concentrator-nozzle attachment provided with this hairdryer actually falls-off quickly while blow-drying hair and this can actually be very annoying. It’s expensive: the BaBylissPRO Nano Titanium Dryer is also very expensive when compared to other hairdryers with almost the same features. However, this hairdryer is equipped with a slightly stronger motor and that’s why it a bit expensive than its counterparts. A compact, ultra lightweight body. 2 speed and heat settings. The BaBylissPRO Nano Titanium Bambino Dryer is a great in hair drying and styling tool that combines the power of full-sized dryer into a compact, travel-ready body. this hairdryer is also equipped with nano-titanium technology that helps to deliver a smooth and shiny finish when blow-drying hair while the 2 speed and heat settings allow the user to achieve customized results when drying-up hair but depending on their hair-type. On the other hand, the BaBylissPRO Nano Titanium Bambino Dryer is equipped with a powerful 1000watt motor-drive system that offers real power and it’s even capable of operating for longer hours efficiently when drying-up hair hence making it a great styling-tool for home-use. Lastly, the BaBylissPRO Nano Titanium Bambino Dryer features a dual-voltage power-system that makes it capable of operating in different countries around the world while the included concentrator-nozzle helps the user style her hair as required as she blow-dries it. Ultra lightweight body: the BaBylissPRO Nano Titanium Bambino Dryer actually features a very lightweight body whereby this makes it very easy to hold or carry for longer periods of time while blow-during your hair. In fact, the lightweight design of this hairdryer will ensure that you don’t experience any hand-fatigue as you style or blow-dry hair. It makes hair smooth and shiny: the BaBylissPRO Nano Titanium Bambino Dryer is equipped with nano-titanium technology that helps to deliver a great air-flow over hair in order to make it smooth and shiny afterwards. A compact body: the BaBylissPRO Nano Titanium Bambino Dryer features a very compact body that facilitates for easy storage and even makes the hairdryer travel-ready. So if you have been looking for a portable hairdryer to take with you on a trip then the BaBylissPRO Nano Titanium Bambino Dryer will work perfectly for you. It can be used in different countries: the BaBylissPRO Nano Titanium Bambino Dryer also features a dual-voltage function and this implies that it can be used in different countries around the world hence making the BaBylissPRO Nano Titanium Bambino Dryer a perfect styling-tool to travel with especially when going for a longer trip. A great 1000watt motor: the BaBylissPRO Nano Titanium Bambino Dryer is equipped with a great 1000-watt motor that is capable of continuously running for several hours when blow-drying hair. In fact, the motor-drive system is very quiet and this actually makes the BaBylissPRO Nano Titanium Bambino Dryer perfect for use in a home-environment especially when you’re living with different people under the same roof. It’s very affordable: the BaBylissPRO Nano Titanium Bambino Dryer is actually very affordable yet it performs effectively when it comes to blow-drying your hair. So, if you have been looking for cheap hairdryer that is compact, lightweight and effective then the BaBylissPRO Nano Titanium Bambino Dryer will work perfectly for you. It includes a concentrator nozzle: the BaBylissPRO Nano Titanium Bambino Dryer actually includes a concentrator-nozzle that can used to concentrate air in just one area during drying process. In fact, a concentrator-nozzle attachment is great tool when it comes to styling curly and wavy hair. A removable filter: the BaBylissPRO Nano Titanium Bambino Dryer also features a removable air-filter that facilitates for quick and easy clean-up of the internal components of the hairdryer in case they get clogged with dirt thus keeping the hairdryer operating optimally. An n ergonomic handle: this hairdryer is designed with an ergonomic handle that feels very comfortable to hold while blow-drying your hair. In fact, this comfortable-grip offered by this hairdryer will help to eliminate any hand-fatigue even when blow-drying hair extended periods of time. Few speed/heat settings: the BaBylissPRO Nano Titanium Bambino Dryer features only 2 speed and heat settings whereby this implies that it may not work on certain types of hair. It lacks a cool-shot button: the BaBylissPRO Nano Titanium Bambino Dryer actually lacks a cool-shot button which is actually very essential when it comes to blow-drying hair that is very sensitive to heat. 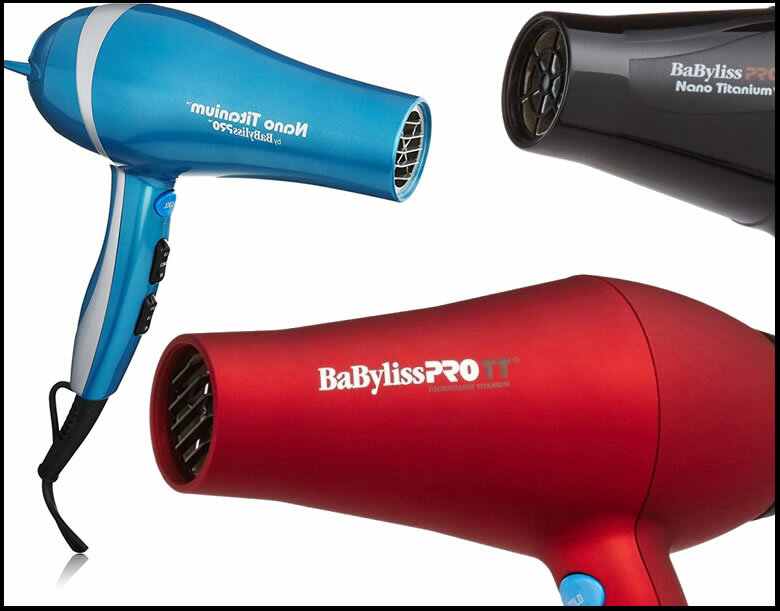 A weaker motor: the BaBylissPRO Nano Titanium Bambino Dryer features a 1000watt motor which is actually very weak when compared with other motors that rate up to 1800watts to 2000watts. So, this hairdryer may work perfectly on women with thick and longer hair that requires a lot of air-pressure to dry-up efficiently. A long-cord with a hang-loop. The BaBylissPRO Ceramix Xtreme Dryer is a powerful hair-drying tool that has been equipped with some best technologies in order to provide the user with optimum hairstyling results. in fact, this hairdryer is equipped with a powerful 2000watt motor that gives-off a stronger airflow over hair in order to facilitates for faster hair drying results while the integrated ceramic-technology helps to give-off extra gentle and even far-infrared heat that can help to protect hair from heat-damage while making it shiny and smooth. On the other hand, the BaBylissPRO Ceramix Xtreme Dryer is equipped with 4 temperature settings and 2 speed-settings that allow the user to achieve a customized blow-drying experience while the included concentrator-nozzle can be attached onto the hairdryer in order to facilitate for a precise blow-drying of hair. 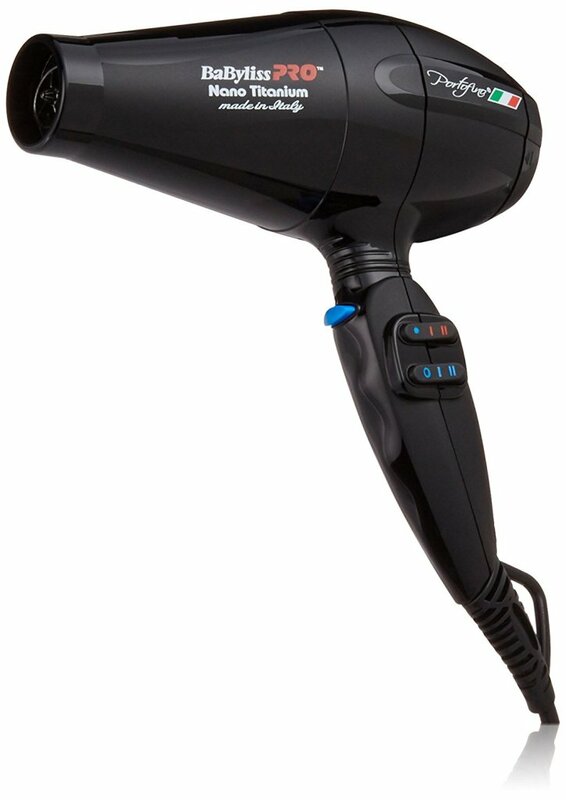 Additionally, the BaBylissPRO Ceramix Xtreme Dryer also features a removable filter for quick and easy clean-up of the air-vents in order to keep the hairdryer operating efficiently while the cold-shot button helps to provide cool-air only while blow-drying hence making this hairdryer a perfect choice for people with hair that is sensitive to heat. It produces gentle and even heat over hair: the BaBylissPRO Ceramix Xtreme Dryer is integrated with ceramic-technology that uses positive-ions to produce gentle and even far-infrared heat which helps to dry hair faster while protecting it from excessive hair-damage. A removable filter: the BaBylissPRO Ceramix Xtreme Dryer also features a removable air-filter that facilitates for easy clean-up of the internal components. In fact, you will be able to easily remove any grime/dirt from the hairdryer in order to keep it operating efficiently. Maximum air-pressure: this hairdryer is equipped with a narrow barrel that facilitates for maximum air-pressure when blow-drying hair thus leading to faster hair-drying results. In fact, this hairdryer will work perfectly for ladies with thick and longer hair because it gives off a strong air-flow that can dry-up hair faster. Multiple heat/speed settings: the BaBylissPRO Ceramix Xtreme Dryer features 6 heat/speed settings that will enable the user to achieve effective hair-drying results no-matter her hair-type. In fact, these settings are even very easy to adjust whereby by you just need to slide the buttons integrated on the handles to achieve a desired setting. A powerful ac-motor: the BaBylissPRO Ceramix Xtreme Dryer is equipped with a strong 2000-watt motor drive-system that delivers high-performance and it’s even capable of operating consistently and quietly when blow-drying hair thus leading to faster and better hair-drying results. In fact, this powerful motor makes the BaBylissPRO Ceramix Xtreme a professional hairdryer that can be used in salons and at home. A concentrator-nozzle attachment: the BaBylissPRO Ceramix Xtreme Dryer includes an 8mm concentrator-nozzle attachment that can be used to blow-dry and style curly or wavy hair. In fact, this concentrator-nozzle attachment is very durable and its even clips easily onto the hairdryers barrow. It protects hair from heat-damage: the BaBylissPRO Ceramix Xtreme Dryer actually gives off far-infrared heat that helps to protect hair from getting damaged by heat as you blow-dry. This actually makes the BaBylissPRO Ceramix Xtreme Dryer a perfect styling-tool for people with sensitive or delicate hair that requires less or no heat during the blow-drying process. It’s equipped with a cold-shot button: the BaBylissPRO Ceramix Xtreme Dryer features a cold-shot button that enables the hairdryer to produce cool-air only during the blow-drying process thus protecting your hair from any excessive heat. In fact this cold-shot button is strategically positioned under the handle in order to facilitate for quick and easy operation. An ergonomic handle: the BaBylissPRO Ceramix Xtreme Dryer is equipped with an ergonomic handle that feels comfortable and firm when being held in the hands hence eliminating any hand-fatigue even when blow-drying hair for a longer period of time. Additionally, the control-buttons are strategically positioned at the handle in order to facilitate for easy operation. It very affordable: the BaBylissPRO Ceramix Xtreme Dryer is actually very affordable when compared with other professional hairdryers in its range. 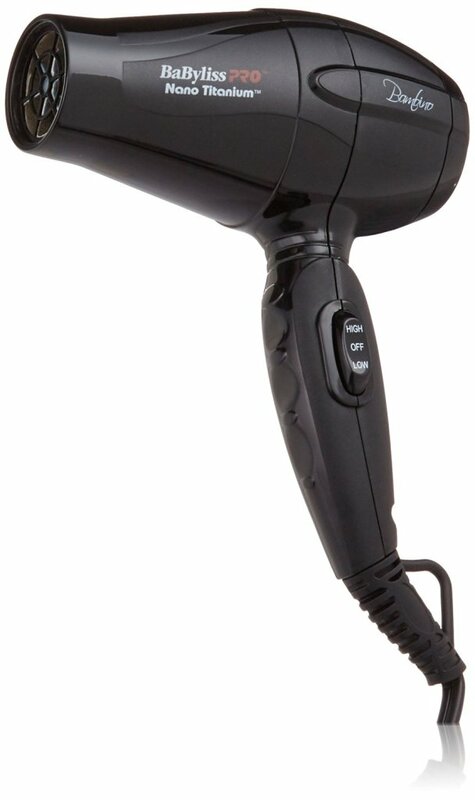 In fact, this hairdryer features a very powerful motor, cold-shot button and several heat/speed settings at a reasonable price. A long cord with hang-loop: this hairdryer is also equipped with a long power-cord that facilitates for convenient usage when blow-drying hair in remote-areas like bathrooms, over the counter and a lot more. Additionally, this hairdryer is equipped with a hanging that is attached just below the handle in order to facilitate for easy and quick storage of the hairdryer when it’s not under usage. It feels heavy: the BaBylissPRO Ceramix Xtreme Dryer actually feels a bit heavy to hold compared to other professional hairdryers in its range. This is because it’s equipped with a heavy but powerful motor-drive-system and a solid body. So, you are more likely to experience hand-fatigue when using this hairdryer for extended periods of time. A loose nozzle-attachment: the concentrator-nozzle included on this hairdryer actually feels very loose after attaching it onto the barrow whereby it keeps on turning as you move the hair hairdryer over hair. So, this can be very disturbing when blow-drying your hair especially for longer hours. A soft, non-slip and rubberized finish. A 9-foot long cord with a hanging-loop. The BaBylissPRO Tourmaline Titanium 3000 Dryer is a contemporary hair-styling tool that has been equipped with a nice-looking rubberized finish that also ensures optimum comfort as you blow-dry hair for extended periods of time. Additionally, this hairdryer is equipped with tourmaline titanium technology that produces millions of ions over hair hence giving it an incredible-shine while eliminating static within. on the other hand, the BaBylissPRO Tourmaline Titanium 3000 Dryer also gives of far-infrared heat that facilitates for faster hair drying and styling especially when you’re in a hurry while the integrated 6 heat/speed settings enable the user to get customized hair-drying results that meet her hair-type. The BaBylissPRO Tourmaline Titanium 3000 Dryer is also equipped with a cold-shot button which when pressed allows the dryer to give-off only cold-air which is actually perfect for drying and styling sensitive hair-types that are prone to excessive heat while the 9-foot power cord with hang-loop facilitates for convenient usage and storage. Lastly, the BaBylissPRO Tourmaline Titanium 3000 Dryer features a powerful 1900-watt motor that is capable of operating consistently and effectively during the hair-drying process hence making this dryer perfect choice for hair-styling professionals. Soft-touch rubberized finish: this hairdryer features a soft, rubberized finish that provides the user with a more comfortable grip while drying-up hair hence reducing on hand and wrist fatigue especially when blow-drying hair for extended periods of time. This actually makes the BaBylissPRO Tourmaline Titanium 3000 Dryer a perfect hair-styling tool for professionals who tend to use hairdryers for a long period of time. A long power-cord: the BaBylissPRO Tourmaline Titanium 3000 Dryer is equipped with a long, 9-foot power-cord that facilitates for convenient usage when drying-up hair whether in a salon or home environment. Additionally, this cord features a hanging-cord that is positioned just below the dryers-handle in order to facilitate for quick and easy storage when the hairdryer isn’t under usage. It helps to make hair shiny: the BaBylissPRO Tourmaline Titanium 3000 Dryer is actually integrated with tourmaline-technology that emits millions of ions over hair in order to make it shiny, soft and moist while eliminating any hair-frizz and static-electricity within hair. This makes the BaBylissPRO Tourmaline Titanium 3000 Dryer a perfect hairdryer for people with delicate hair that is very prone to heat and frizz. Faster hair-drying results: the BaBylissPRO Tourmaline Titanium 3000 Dryer also gives-off far-infrared heat that facilitates for faster hair drying and styling results while eliminating hair-frizz. 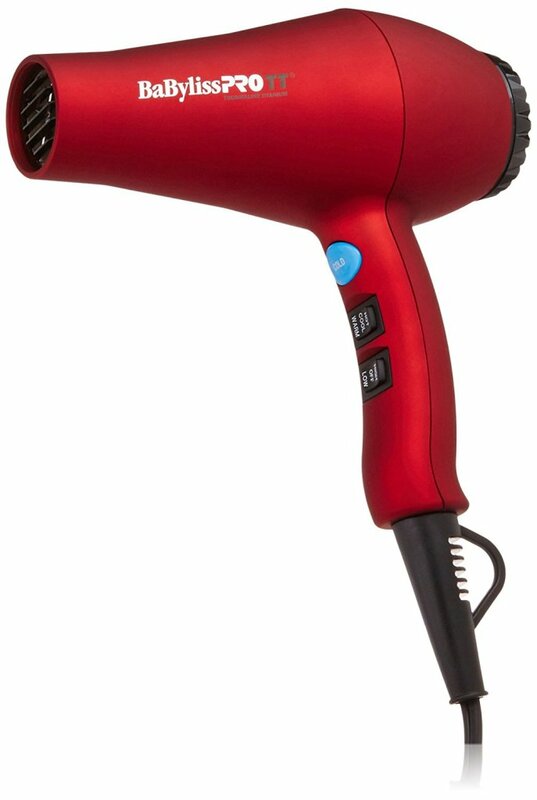 In fact, this hairdryer will work perfectly on people with thick and long hair which is usually hard to dry-up. A cold-shot button: the BaBylissPRO Tourmaline Titanium 3000 Dryer is equipped with a cold-shot button which when pressed allows the hairdryer to produce cold-air only hence making it a perfect styling-tool for people with hair that is prone to high heat-levels. Additionally, cold hair even helps to make your hair soft and shiny while eliminating hair-frizz hence keeping it in a healthy condition at all times. Several heat/speed settings: the BaBylissPRO Tourmaline Titanium 3000 Dryer features over 6 heat/speed settings that can easily be adjusted in order to achieve optimum hair drying and styling results but this actually depends on your hair-type. On top of that, these speed/heat controls are very easy to use and access because they are strategically positioned under the handle hence facilitating for easy usage of the hairdryer. A quiet and powerful motor: the BaBylissPRO Tourmaline Titanium 3000 Dryer is integrated with a powerful 1900-watt ac-motor that is capable of operating consistently in order to facilitate for faster hair-drying results. On the other hand, this motor-drive system is very quiet whereby it makes the BaBylissPRO Tourmaline Titanium 3000 Dryer a perfect hair-styling tool for use in a home or salon environment with other people around. An ultra-lightweight body: the BaBylissPRO Tourmaline Titanium 3000 Dryer features an ultra-lightweight body that feels very comfortable to hold thus reducing on hand and wrist fatigue while drying-up hair. So, this makes the BaBylissPRO Tourmaline Titanium 3000 Dryer a perfect hair-styling tool for use in salons and at home most especially for people who blow-dry hair for longer periods of time. An ergonomic and comfortable handle: this hairdryer features an ergonomic, non-slip, rubberized handle that feels very comfortable to hold hence reducing on hand and wrist fatigue especially when drying hair for a longer period of time. This actually makes the BaBylissPRO Tourmaline Titanium 3000 Dryer perfect for use salons and homes. It includes a concentrator-nozzle attachment: the BaBylissPRO Tourmaline Titanium 3000 Dryer is provided with a concentrator-nozzle attachment that helps to blow-dry and style curly/wavy hair faster than the regular hairdryer nozzle. It’s affordable: the BaBylissPRO Tourmaline Titanium 3000 Dryer is actually affordable depending on the features it’s having. In fact, the BaBylissPRO Tourmaline Titanium 3000 is a professional-grade hair styling tool that can be used in salons and at home in order to achieve effective hair drying results. The control-buttons are a bit inconveniencing: the BaBylissPRO Tourmaline Titanium 3000 Dryer is equipped with flip switches/controls which can accidentally be adjusted when holding onto the handle as you blow-dry hair. This will actually change the desired settings or even turn-off the hairdryer thus creating a huge inconvenience while blow-drying hair. It’s not a dual voltage hairdryer: the BaBylissPRO Tourmaline Titanium 3000 Dryer actually features only a 125 voltage-rate and this implies that it won’t work in countries that use a 220 voltage-rate. It’s a bit bulky: this hairdryer is actually a bit big in size whereby it will be inconveniencing incase you’re travelling. However, if you plan on using this hairdryer at home and not to travel with it then it will work perfectly for you. So, if you need a hairdryer to travel with then consider purchasing a portable and lightweight hairdryer for best results. A poor-quality rubberized coating: the BaBylissPRO Tourmaline Titanium 3000 Dryer is coated with a poor-quality rubber-finish that tends to fade away over time most especially around the handle-section. This marks the end of this detailed review on the ‘’Best Babyliss Hair Dryers – 2019’’. Bookmark this post for future reference.